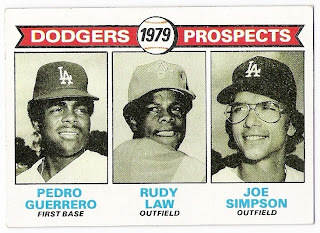 rudy law wasn't a member of the 1977 dodgers, but he did play for the team in 1978 which makes him a part of my 1978 topps burger king/update set that should have been. here's rudy's entry into what would have been an awesome set. 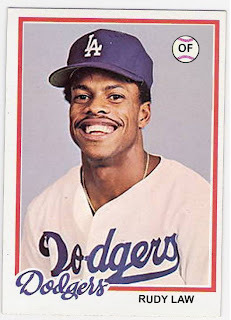 but i much prefer the image from his 1981 dodger police card issued as a stadium giveaway. i figure that as an update set, using an in game photo of a guy without any major league experience is forgiveable. 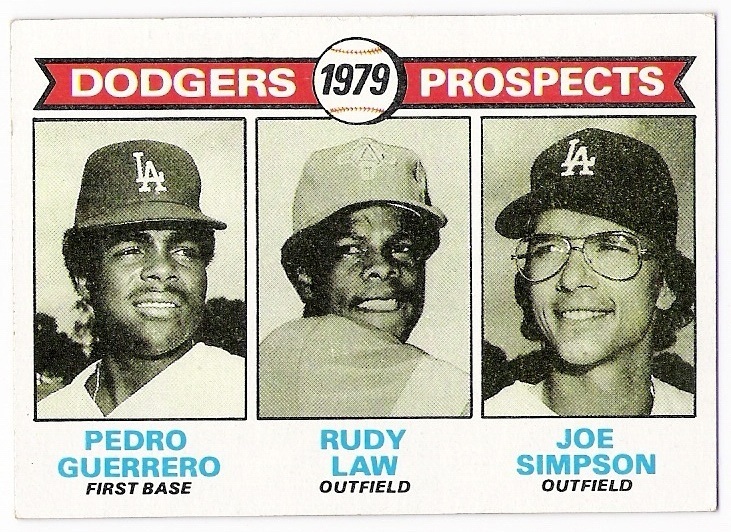 just don't notice that he didn't play against the giants at dodger stadium in 1978.
both of whom will be getting their own entries into this set soon. unfortunately, law is shown in his albuquerque dukes uniform. anyway, law made his debut on september 12 against the giants in candlestick. 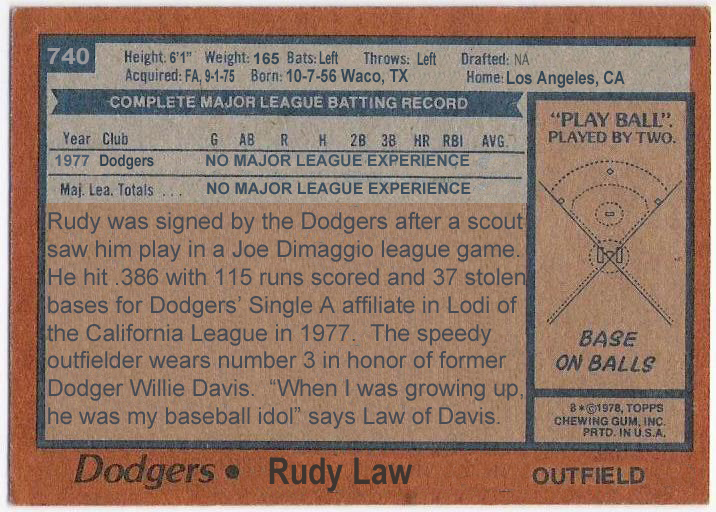 in a game the dodgers won 8-0, law was inserted as a pinch runner for joe ferguson in the 8th inning. 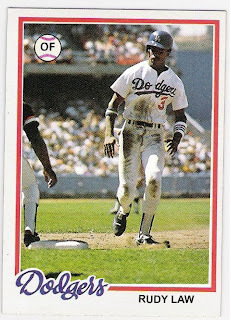 he promptly stole second base, went to third on a bill russell single, and scored on a davey lopes double. 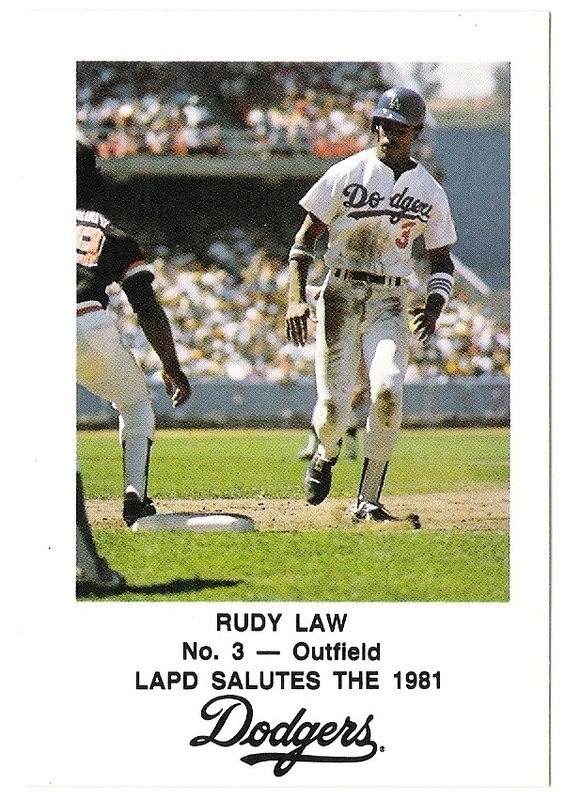 all 3 of law's hits in 1978 came in the september 28 game against the reds. law made his first (and only) start that day, taking over in left field. he had 2 infield singles and another base hit to center, drove in a run, and stole a base. for the season, law hit .250 with 2 runs scored and 3 stolen bases. 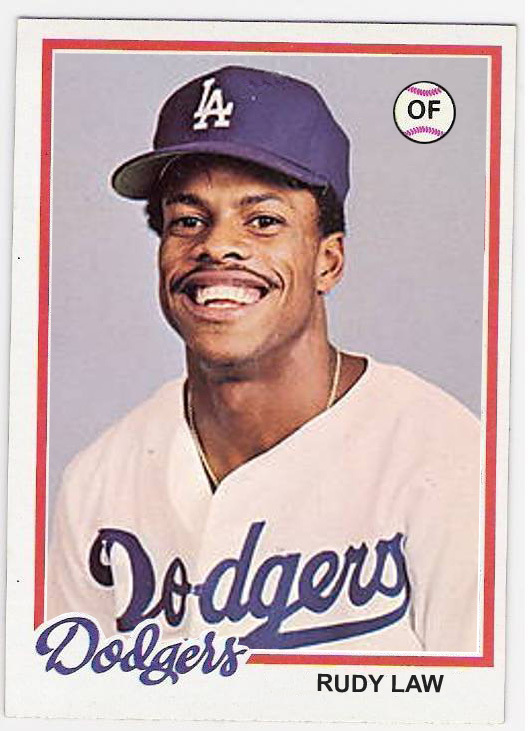 he next appeared in the big leagues in 1980 when he was made the everyday centerfielder after a good showing in spring training. he set a dodger rookie record with 40 stolen bases that year, but was made expendable when the dodgers acquired kenny landreaux prior to the 1981 season. law wound up heading to chicago where he had some good seasons for the white sox. he is currently part of the dodgers' alumni speaking bureau, appearing on behalf of the team at various events. 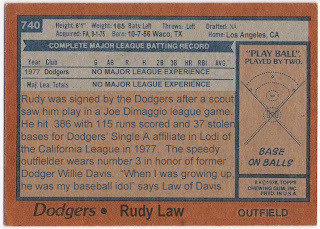 here's to you rudy law, and your 1978 card(s) that should have been! While I like accuracy as much as possible, I also give extra wigglwe room for these types of cards. Beautiful work.